How I started learning Krav Maga was completely by accident. 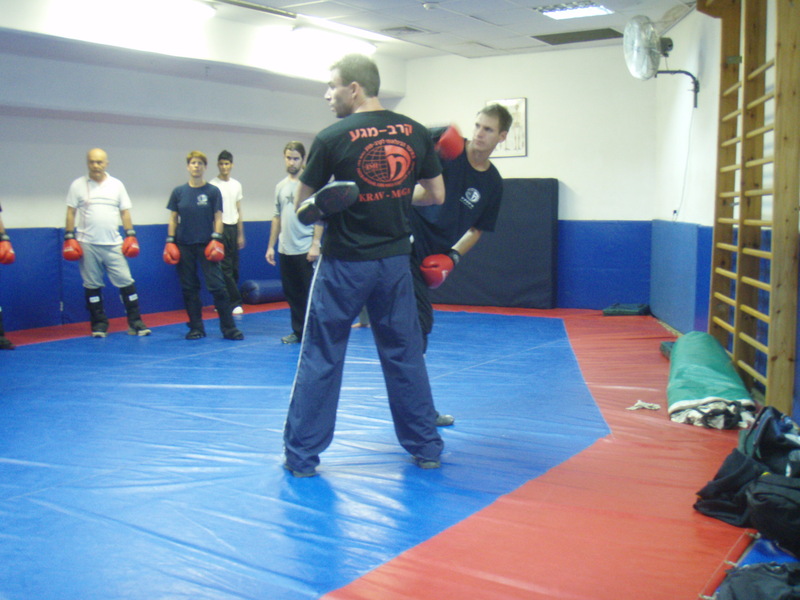 Although being an avid martial artist all my life, I did not know what Krav Maga was prior to my stay in Israel in 2007. I planned to live in Israel working as a freelance journalist. One day, my good friend Freeman told me about an Israeli Fighting System call “ Krav Maga “ and suggested I write a story about it. 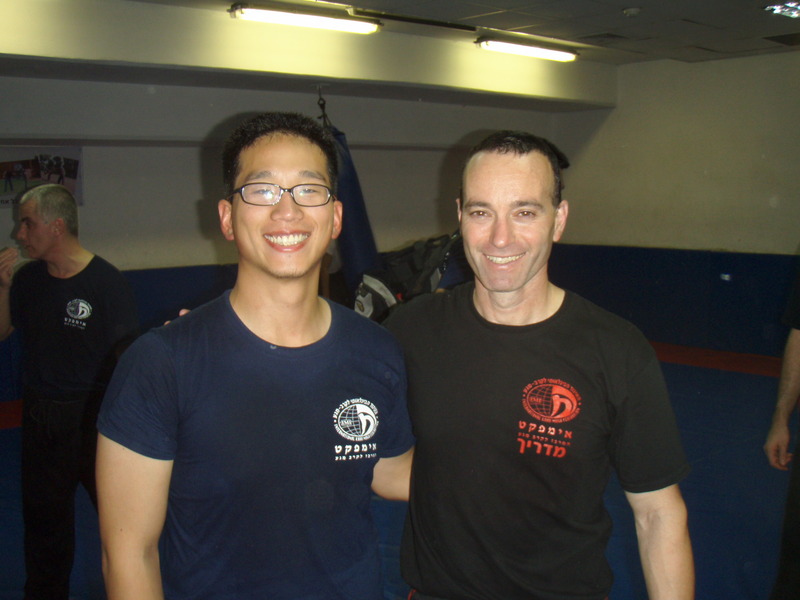 Freeman passed me a phone number of a Krav Maga organization ( IKMF ) and I was directed to attend Krav Maga classes at a local Krav Maga school in ramat Aviv. The classes were held in a high school’s basement and my instructors were Zeev Cohen and Miki Newman. They are not well known in North American Krav Maga community but their Krav Maga class was as Israeli as it gets. My fellow students left as much an impression on me as my instructors. Most of them were Israelis and a few were American and European students. They all worked really hard in class and fought viciously against each other. Prior to Zeev’s Krav Maga school, I studied Judo for 5 years and Tae Kwon Do for 3 years but I had never seen such dedication and seriousness among the general students in a class. I guess the reason is because my Israeli classmates know that it is very liely they might have to use Krav Maga to protect themselves one day. Zeev’s Krav Maga class also taught me the true meaning of equality between men and women. In the past, I had always refused to hit a woman because I was raised that a good gentleman should not lay his hand on women. My belief was shattered when I was paired up with a female student. She was roughly 30 years-old, and skinny with short hair. I did not want to hit her at all so I started throwing some lazy punches. She must have felt my unwillingness to fight her and replied kindly with a strong punch on my nose. Testing a bit of iron in mouth and feeling my nose flatten, I knew I have to fight for my survival and I realized that I was not fighting a lady but a fellow warrior. Now, teaching my own Krav Maga school in Vancouver, BC. I am blessed with one thing most North American Krav Maga instructors do not have, which is “ Seeing how a normal Krav Maga season is conducted in Israel. “ This is what shaped my image on how Krav Maga training should be: rough, hard, and full of physical contact. The lack of beauty of the system is made up by brutal efficiency. There is no such thing as a female only class, and women are subjected to the same type of hard training as men and they are respected as fellow warriors. I often say I take no credit of my class’s training structure design. Because they are based on how my first Krav Maga classes were conducted in Ramat Aviv. I merely inherited the structure and spirit.